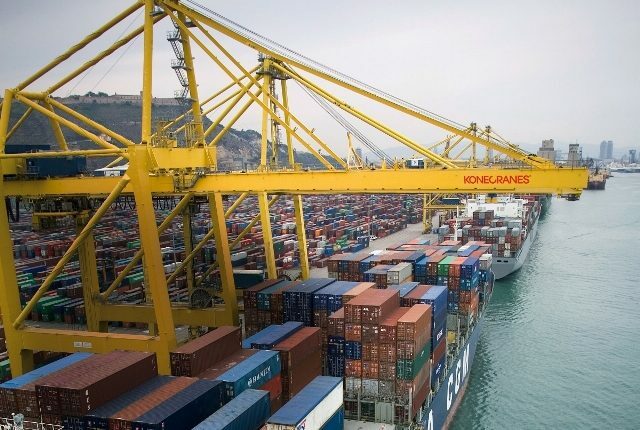 In December 2013 Konecranes received an order for six Rubber Tired Gantry (RTG) cranes from Sociedad Portuaria Terminal de Contenedores de Buenaventura, S.A. (TCBUEN) in Colombia. This will be Konecranes’ first delivery of container handling cranes to Colombia. “We are very enthusiastic about this first order to TCBUEN and Colombia. TCBUEN is part of Grup Marítim TCB S.L. It started operation in Buenaventura in 2010 with seven RTGs and two Ship-to-Shore (STS) cranes. The six new Konecranes RTGs will almost double TCBUEN’s container yard capacity and significantly boost productivity,” says Kim Salvén, Sales Director, Europe. The parties have agreed not to disclose the value of the order. The 16-wheel RTGs have a lifting capacity of 40 tons and can stack one-over-six containers high, and six plus truck lane wide. They will be equipped with Konecranes’ Active Load Control technology for premium container handling performance. They will be fully electric, powered by a busbar system. Network braking will be included, further improving the crane’s already excellent eco-efficiency. Network braking takes the energy generated by the crane during braking and feeds it back to the grid, saving energy. Crane operation will be backed up with full-size diesel generator sets and Konecranes’ Diesel Fuel Saver technology in case of electrical blackouts. TRUCONNECT® Remote Diagnostics and Technical Support will be another notable part of the package. This innovative remote service reduces crane downtime by ensuring that Konecranes’ best technical expertise is available for problem-solving 24/7.